Activision Blizzard has signed a multi-year deal with Coca-Cola. Activision Blizzard has signed Coca-Cola as the official non-alcoholic beverage of the Overwatch League and the entire Overwatch ecosystem. In the multi-year deal, Coca-Cola will get exclusivity with the league’s 20 teams and the Overwatch Contenders in addition to the Overwatch World Cup, BlizzCon, and collegiate events. The signing is the first sponsorship to take advantage of the Overwatch developer’s full control over the game’s intellectual property. Likewise, Coca-Cola will receive pouring rights at the Blizzard Arena and other Overwatch League games, including the grand finals. 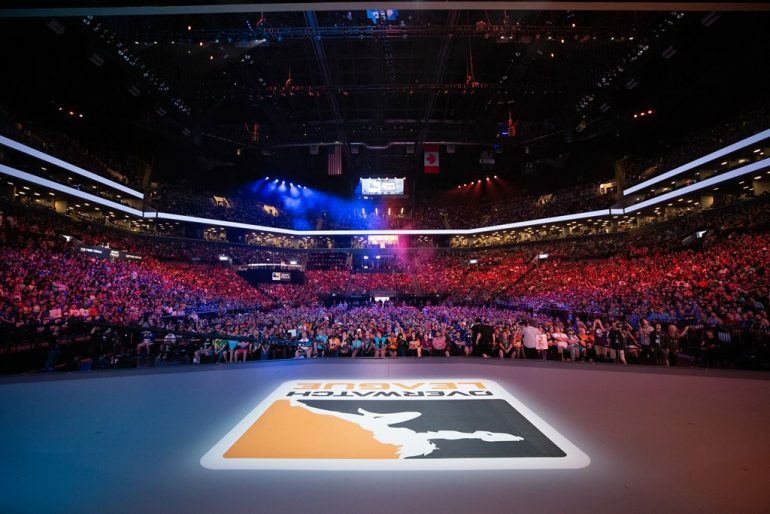 Last year, the grand finals sold out the Barclays Center in New York City, and the league expects to host this year’s event at another major arena. Coca-Cola has had a hand in other esports, working with Riot Games to sponsor League of Legends in 2016 and making appearances in EA’s FIFA 18. The brand will now join the Overwatch League’s list of partners alongside HP, Intel, and T-Mobile. The league most recently signed a multi-year franchising deal with sports provider Fanatics to sell merchandise for the 2019 season. Moving forward, Overwatch League gear, including team jerseys, fan gear, headwear, and hard goods, will sell through Fanatic’s retail and wholesale channels. CEO of Activision Blizzard Bobby Kotick has served as a director on Coca-Cola’s board of trustees since 2012. As such, Senior Vice President of Strategic Marketing Geoff Cottrill oversaw negotiations for Coca-Cola while Chief Revenue Officer Brandon Snow led negotiations for Activision Blizzard. Further details on how Coca-Cola plans to integrate into the Overwatch League will be revealed in the upcoming weeks.